Thanks to lower NVH (noise, vibration and harshness) in diesel vehicles, Audi has announced a surge in diesel uptake, particularly in the A3 compact. In fact, 69% of U.S spec A3s were powered by the 2.0 TDI unit, despite the four digit price premium. 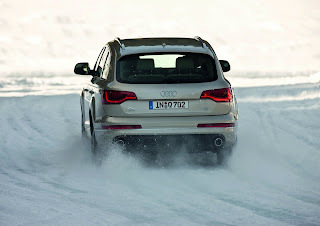 The Q7 diesel was also popular, with 45.5% of customers plucking the muscular 3.0 TDI V6. Other German brands have reported similar increases with the Mercedes-based 3.0 CDI V6 accounting for 36% of GL sales. Around 20% of BMW X5 sales have gone towards the 3.0d diesel mill. Due to the price premium over the equivalent petrol engine, many owners will have to clock up thousands of miles before breaking even. So, why are customers starting to favour diesel over petrol? Is it because of the superior fuel economy figures over the petrol engines or the driveability, thanks to plenty of low-end torque. Either way, it seems like consumers are starting to favour diesel over petrol.